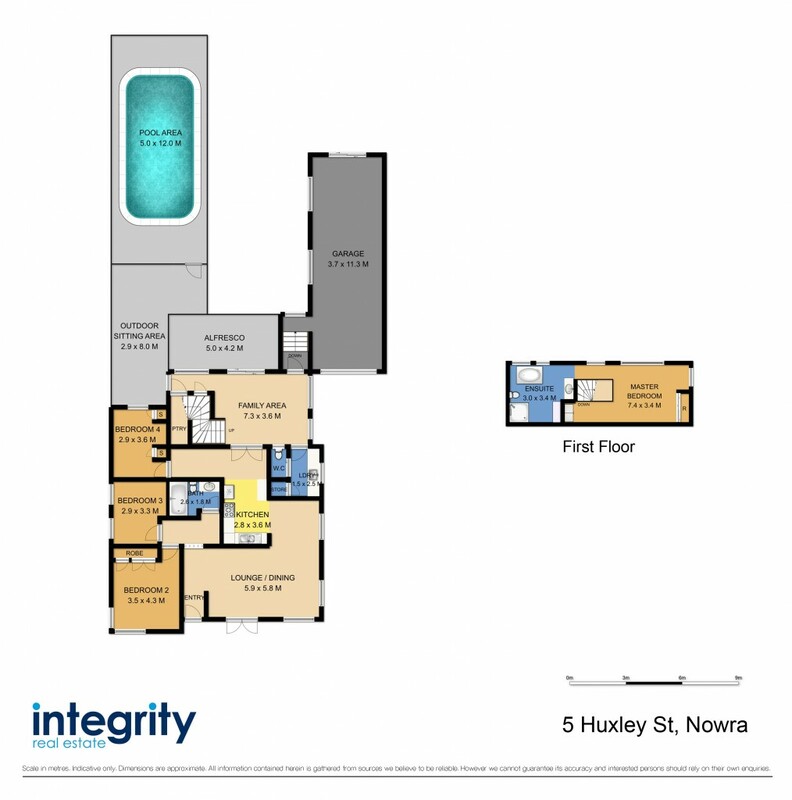 Ben Roberts and Rebecca Ahern are excited to offer this recently extended and completely renovated 4 bedroom home situated in a quiet off street in Nowra's CBD. No expense has been spared and there's nothing more to do than move in and enjoy. Featuring a spacious lounge and dining area, central kitchen boasting stone benches and stainless appliances along with an additional family room at the rear that flows out to the impressive entertaining area. The master bedroom and ensuite take the whole second floor with carpet to ceiling windows to take full advantage of the mountain outlook over your private back yard and pool. The 3 other bedrooms are downstairs and feature timber floors and ceiling fans. Other features include in ground pool and spa with outdoor shower, private landscaped yard, expansive merbau decking, paved courtyard, tandem garage, veggie garden, this list goes on. The current owners are relocating out of area and have chosen auction as they want to listen to the market's feedback and are open to all genuine offers.